Quickly change between setup parameters stored in memory, without having to rework the settings which previously gave you optimal results. 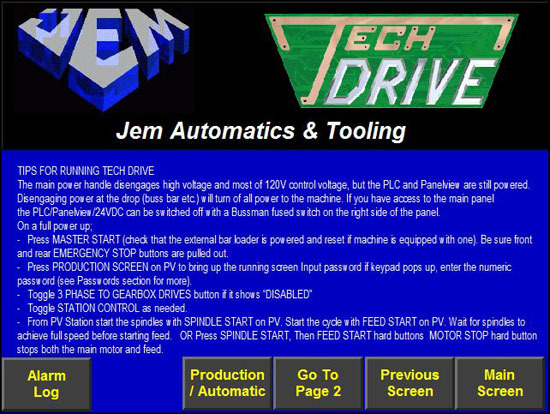 TechDrive is equipped with parameter storage of 254 different part program configurations. To save part setup settings (parameters) simply use the arrow buttons to set the part number from 1 to 254. Press "Save Part" and all part setup data will be stored. The button will change to "Part is Saved" when the save is successful. 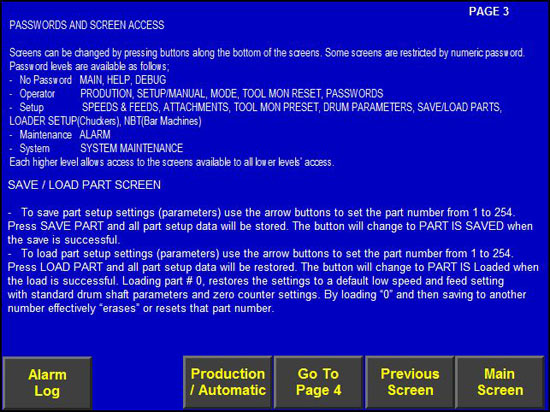 To load part setup settings (parameters) use the arrow buttons to set the part number from 1 to 254. Press "Load Part" and all part setup data will be restored. The button will change to "Part is Loaded" when the load is successful. 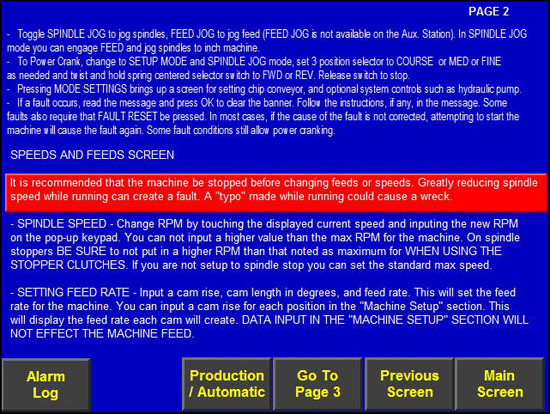 Loading part number 0 (zero) restores the settings to a default low speed and feed setting with standard drum shaft parameters and zero counter settings. By loading part number 0 (zero) and then saving to another number effectively "erases" or resets that part number.